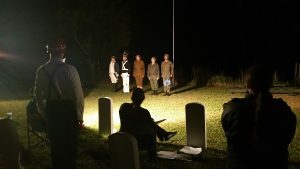 Heroes Not Forgotten (HNF), a small Tallahassee based 501c3 nonprofit comprised of volunteers, is seeking volunteers to finish editing, shoot retakes and create voice dubs for its short, public service film Heroes Not Forgotten – An Americanism Film. The film honors and remembers America’s military veterans and educates America’s youth about Americanism. The film is an all-volunteer project. To date, more than 30 people have voluntarily worked on the film (i.e., scriptwriter, producer, director, cast, crew, filmmaker, others). HNF will make this public service film available nationwide for free to military organizations and veterans, elementary schools, youth groups, and all other audiences who wish to view it. This is an opportunity for volunteers to gain film editing and filmmaking experience, while expressing appreciation for America’s military veterans or relatives, who were/are military veterans. For further film information, visit heroesnotforgotten.org. LeMoyne’s Chain of Parks Art Festival is seeking volunteers to help before and during the festival. 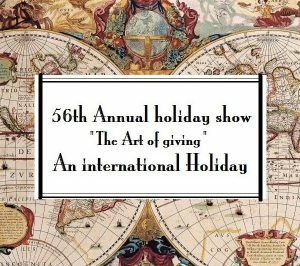 Opportunities include artist hospitality, VIP hospitality, donation box greeter, volunteer check-in, set-up/break-down, and more. 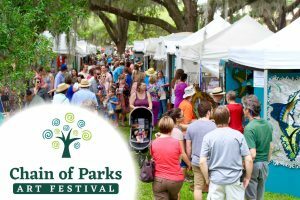 Volunteers like you make the festival successful, so please join our team by signing up here: http://signup.com/go/dQQiLLY The 19th annual Chain of Parks Art Festival will be held on Saturday and Sunday, April 27-28, 2019. Visitors can view and purchase unique fine art creations from more than 170 artists from throughout the United States, while enjoying a weekend filled with a large variety of artistic creations, family fun, food vendors offering culinary creations, children’s art programs and a line-up of the best local musical talent both days, including our featured performance on Saturday evening (5pm-7pm) – Tallahassee Nights Live! To learn more about the festival, visit: www.chainofparks.com Each volunteer shift earns you a raffle entry for gift cards to Blue Halo or Spear It! CLICK HERE to view volunteer opportunities and sign up today. Bring your passion for history and become a Museum Docent at Mission San Luis! A docent links the present day with the past by guiding tour groups of all ages through our historic reconstructions, discussing the rich and exciting history of the Spanish and Apalachee residents along the way. As a Mission San Luis Museum Docent, you will have the chance to work closely with our costumed staff to bring a fun, educational, and immersive experience to groups of all ages! You will be able to see unique presentations from the Living History Interpreters, as well as learn and share the lesser known archaeological and 20th-century history of the site. No prior experience or training is necessary! Just a love for people and history. 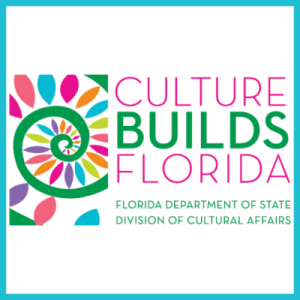 Help us bring La Florida to life! This is a non-paying internship but is an amazing opportunity for those interested in Museum Studies to be in on a brand new, developing historical museum. 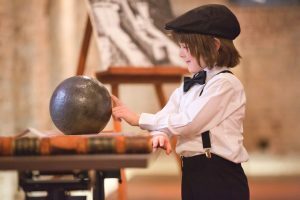 Use your college learning to help create exhibits, organize events, help fundraise and/or lead tours. The Apalachicola Arsenal was Florida’s first and ONLY Arsenal in the State of Florida. It was the scene of the first action in the Civil War in Florida, the first penitentiary in Florida and the first mental health facility in Florida. Lots of history. Hours and days can be scheduled around your classes. Work can be completed in Tallahassee with visits to the Museum only as needed. Come create a lasting exhibit at this beautiful facility. It’s an opportunity to do something that will last for many, many years. Get in on the ground floor. We have artifacts waiting to be placed into creative spaces. Come make history with us. Contact Linda for more information.